Students will learn basic fiber optics, safe handling of fiber, proper installation of FTTH cables, fusion and mechanical splicing, link testing, and troubleshooting techniques. 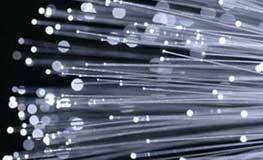 Our trainers have over 30+ years field experience with outside plant and FTTH installations. Students will learn how to do drop installations right the first time. Two-Day classes held in Chicago near O’Hare airport. Private/corporate classes can bring this comprehensive FTT training to your location to instruct and prepare your installation team in the fast-growing FTTH industry. 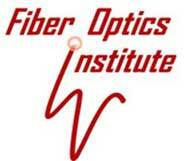 Contact us today by emailing the subject “FTTH” to fiberopticsinstitute.com. You will be informed of the ongoing class schedule in Chicago. If you would like more information or want to schedule a private class for your company please call us at 708 212 5150 or email. 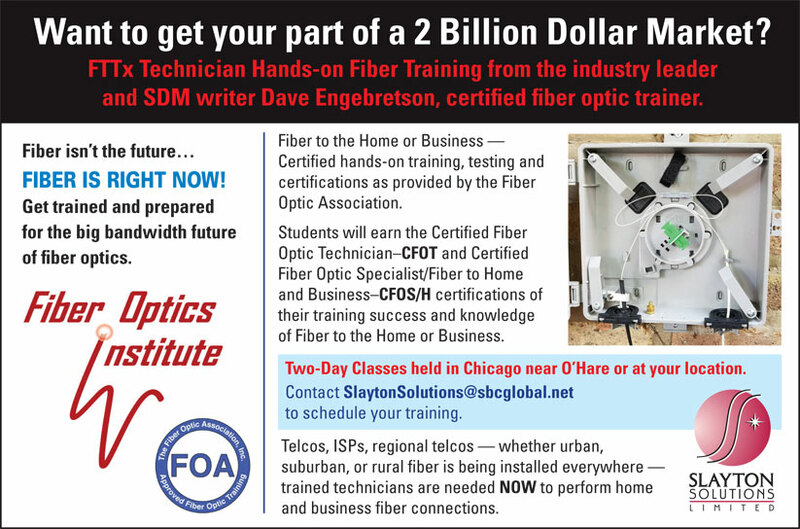 Click this link to view the 2019 Chicago FTTH training class schedule. Slayton Solutions Ltd. Chicago IL USA (708) 212-5150, slaytonsolutions@sbcglobal.net. Copyright 2018.